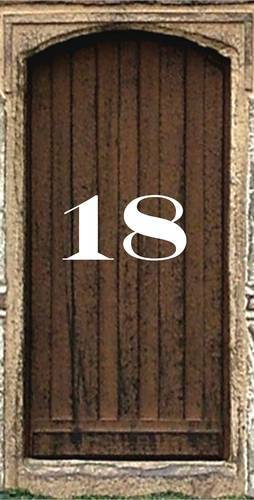 Visit www.artisansinminiature.com to access the free AIM Advent Calendar, lovingly and freely compiled by some of the dedicated members of AIM. 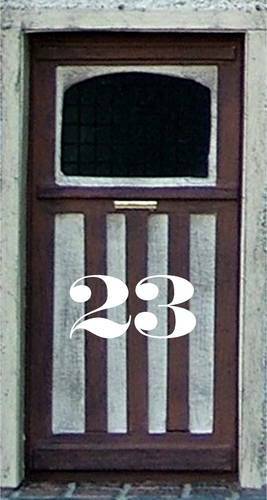 Days 1 to 23 of the fabulously free AIM Advent Calendar are now open for you to enjoy. 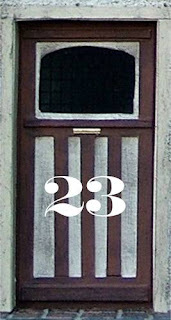 Day 22 of the fabulously free AIM Advent Calendar is now open for you to enjoy. 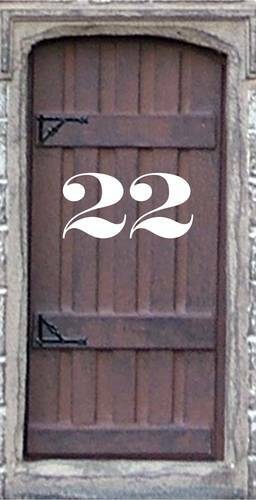 Day 21 of the fabulously free AIM Advent Calendar is now open for you to enjoy. 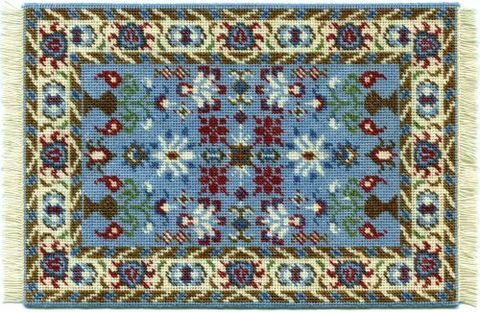 Janet Granger has just launched a new miniature needlepoint carpet kit on her website, www.janetgranger.co.uk , called 'Saskia'. 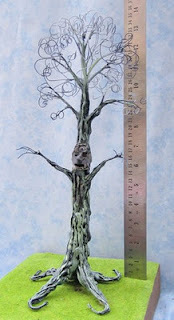 The design is an Oriental one, in shades of mid-blue with deep red and cream highlights, and measures 9 x 6 1/4 inches. It would look great in a study or drawing room in your doll's house. The kit contains 18 count canvas, plenty of Appleton's crewel wool, thread for the fringe, detailed instructions, a colour-block chart to count the design from, and a suitable needle. 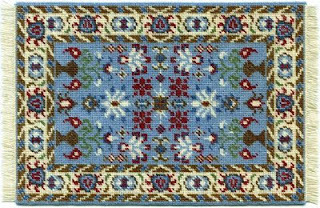 The design is worked in needlepoint - tent stitch for the details and basketweave for the background. 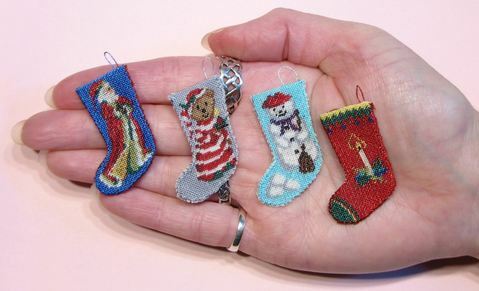 Both stitches are easy to do (very similar to half cross stitch). 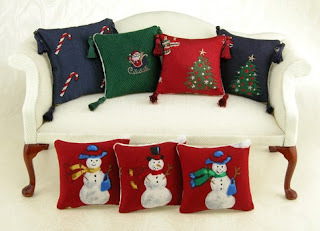 There are Tutorials on Janet's website, showing how to do these stitches, if you are new to embroidery. 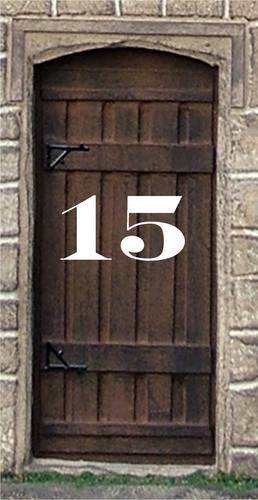 If you prefer to choose your own colours, or work the design on a different count of fabric, then a chart pack is also available. 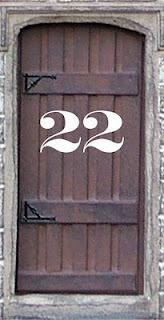 The full kit costs £21.50, and the chart pack costs £10.75. P&P is free if ordered online, or £1.50 if ordered by post with a cheque. 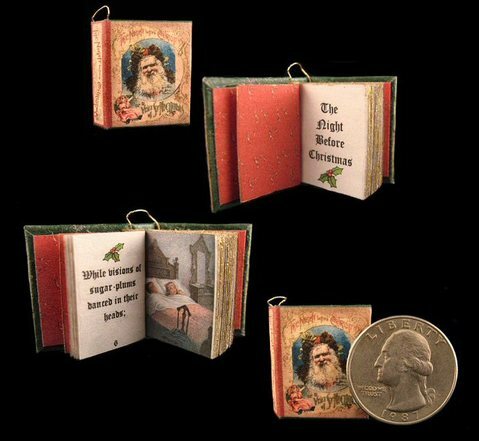 Introducing the work of Louise Goldsborough of Angelique Miniatures, who has recently opened a brand new E-Bid store. 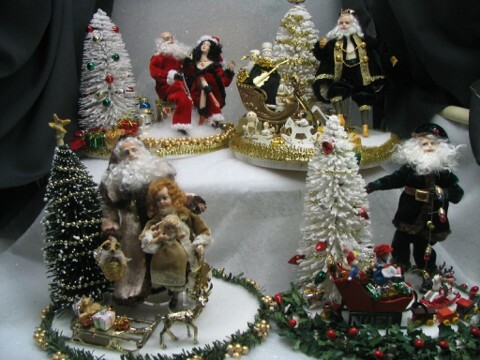 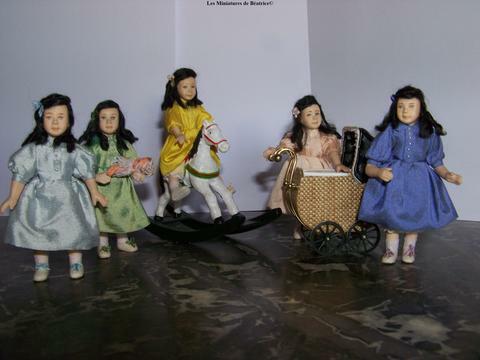 At the moment she is working hard to add as many of her in-stock-and-ready-to-send miniature dolls as she can. 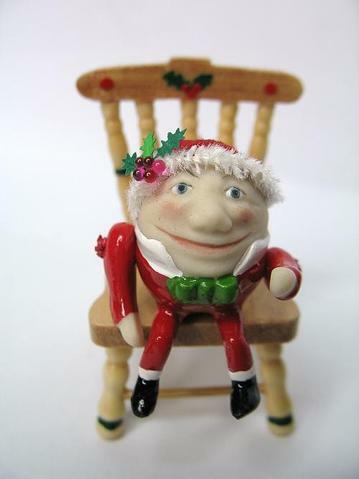 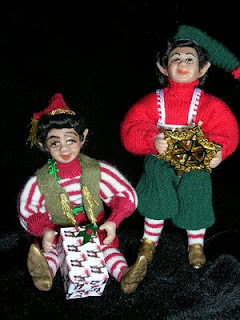 Several of these dolls are listed at below her normal retail prices and will make excellent Christmas presents for your friends......or why not treat yourself? 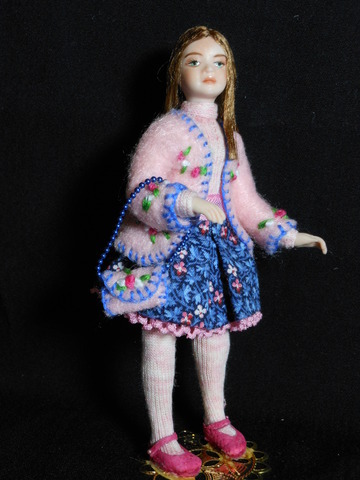 Be sure to check back often to see all the new dolls that she adds over the next couple of weeks! 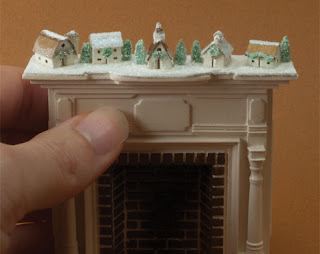 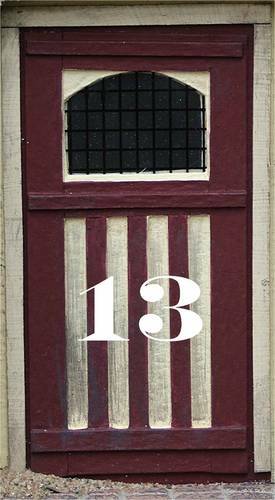 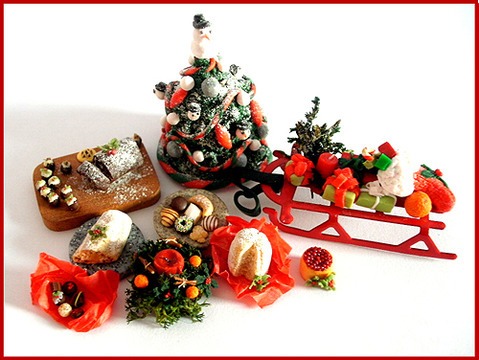 Visit www.artisansinminiature.com to read, download or print the fabulous free AIM Advent Calendar Days 1 to 15. 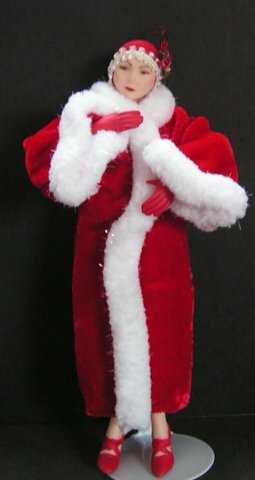 Wrapped up warm, this delightful Art Deco Lady is dressed up ready to go out for Christmas. We are just over halfway through this years AIM Advent and we at AIM hope that you are enjoying all the delightful miniature projects that our members have kindly put together for you all. 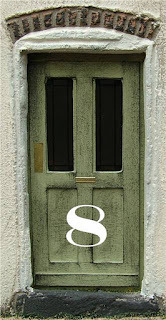 to view, read, download or print. 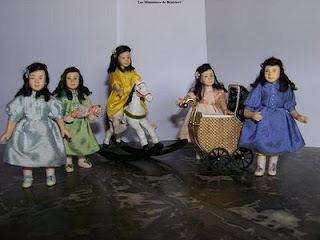 These wonderful little dolls; the Dionne Quintuplets are by the talented doll maker Beatrice Thierus.